GT, how do you treat yourself? I'll start: once every month or so, I designate $15-20 as mad money at Target. It doesn't sound like much but, if I'm vigilant about the clearance shelves, I can often get a nail polish, lip gloss, and chocolate and a scarf or a pair of earrings. How about you? What do you do to cheer yourself up after a rough day? 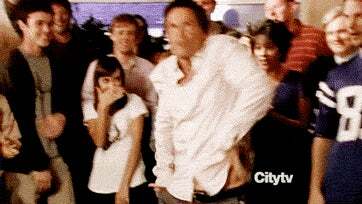 Or to celebrate? One great way to celebrate for free? 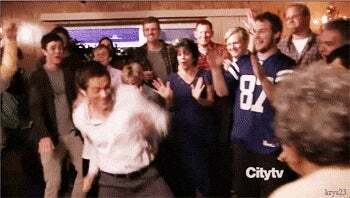 Chris Traeger dancing gifs.